Learn how to cover your roots in this Howcast hair tutorial featuring celebrity hairstylist Jacqueline Bush. My name is Jacqueline Bush. I am an editorial and celebrity hair stylist. My clientele has included: Faith Hill, Mark Ruffalo, Terrence Howard, Gwyneth Paltrow, Jane Krakowski. I want to be able to show you that hair isn&apos;t as intimidating or as hard as you think it is. And I want you to be able to have fun with it and do what your vision is with your hair. Okay, there are some great tricks out there to cover your roots. 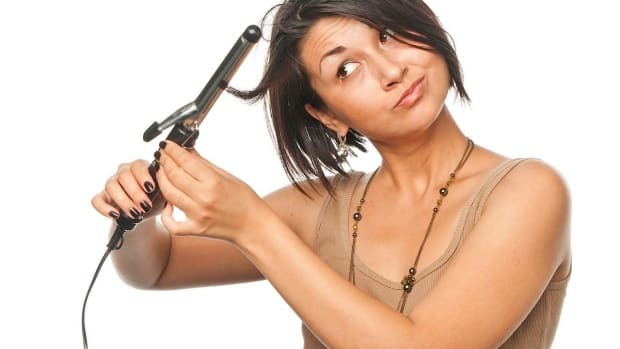 If you don&apos;t have time to get to the salon, or your appointment&apos;s not for another week or two, and you&apos;re getting the grays in there really badly, or perhaps you&apos;re not looking as naturally blonde as your stylist makes you. So, there are a lot of great products on the market that help you cover your roots, if you can&apos;t get to the salon for another week or two, or you don&apos;t look quite as blonde as your colorist makes you look. And if you want to use something in the touch up period to just cover that up, there are some great tricks out there. There is something called hair mascara, which is, say you&apos;re getting just a couple of little grays up front, you can get this at the beauty supply store. They have different color hair mascaras. They have blonde ones. They have black ones. They have brown. Any hair color. They even have red ones, if you wanna give yourself a little bit of color. But that&apos;s usually for smaller pieces of gray. Another thing that you can do, is use a hair powder. There are hair powders that you tap on, or you spray into the hair, that literally they mist into the hair; and they&apos;re so fine, and they give you different colors. They are all across the board. If you go to a specialized place for this, you could find any color you possibly could want, and you can blend and make your own. Now, the third option is a dry shampoo with color in it. So that would be like a dry shampoo that says for blondes, and it actually sprays on blonde. There&apos;s another dry shampoo for brunettes, that sprays on brown hair color. And a great thing about those, is they act as a dry shampoo as well, which means that you&apos;re gonna get extra lift with your hair. The only thing with those, as opposed to the tap on or light misting powders, is that you don&apos;t get as much control. So, they can be a little bit messier to use. But these are all fantastic products and I think that everyone should have them on hand, because it&apos;s a great way to get your roots covered in a pinch.